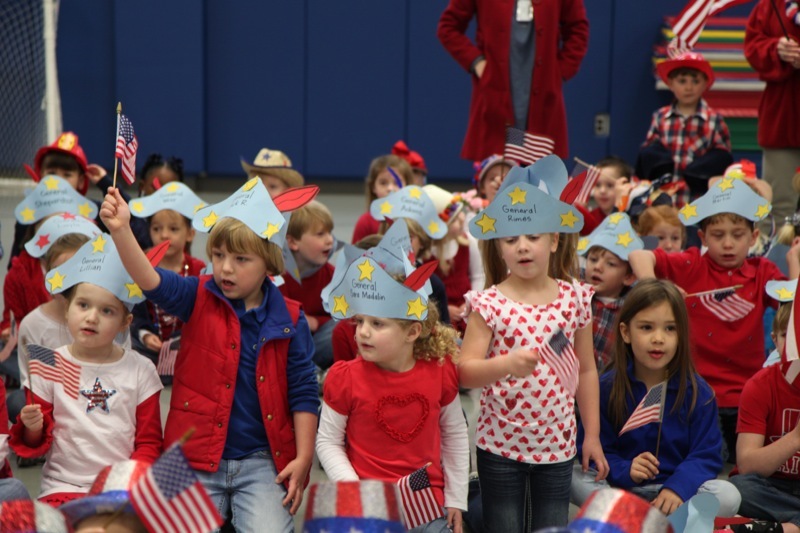 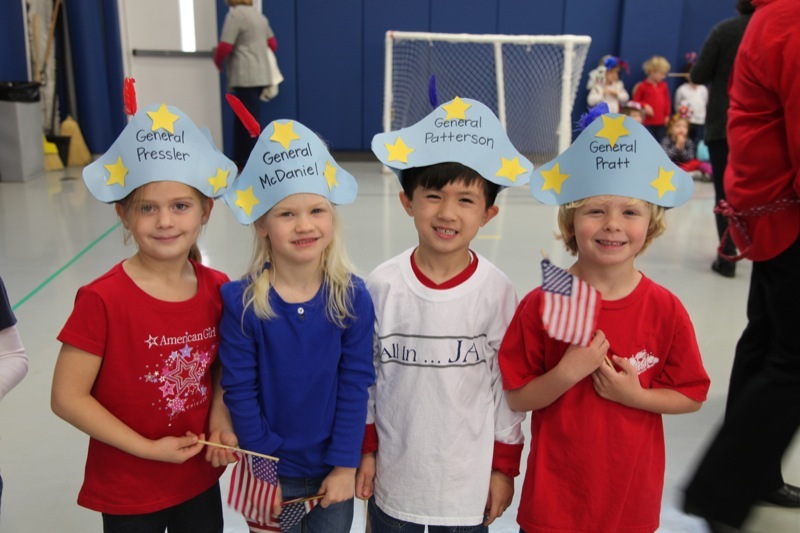 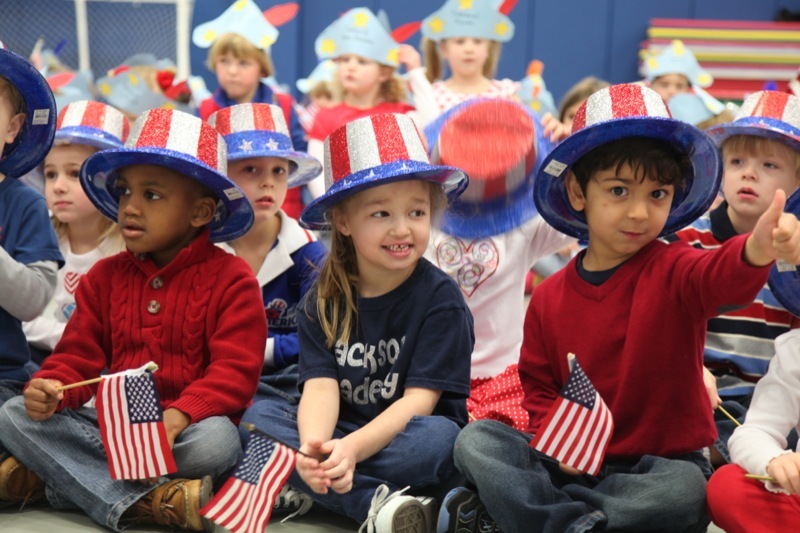 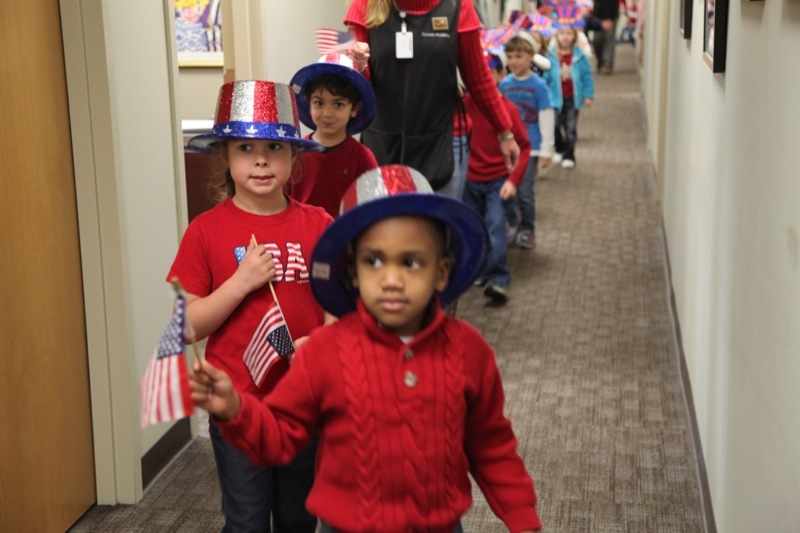 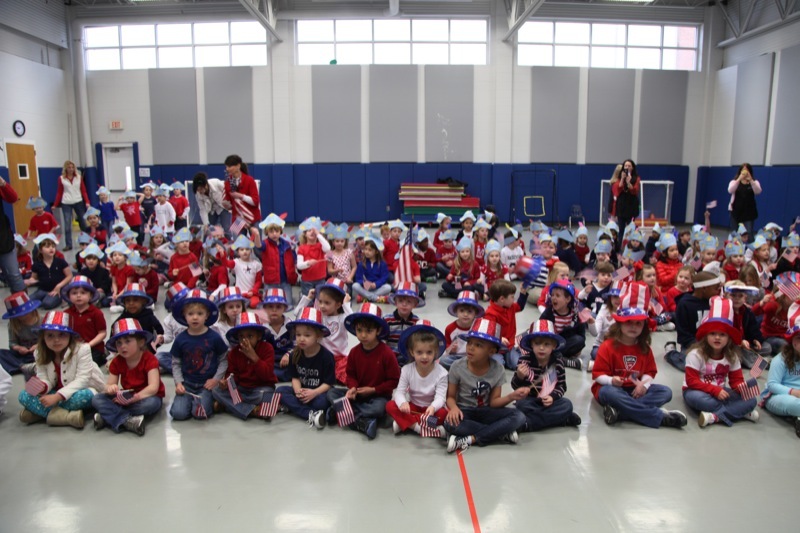 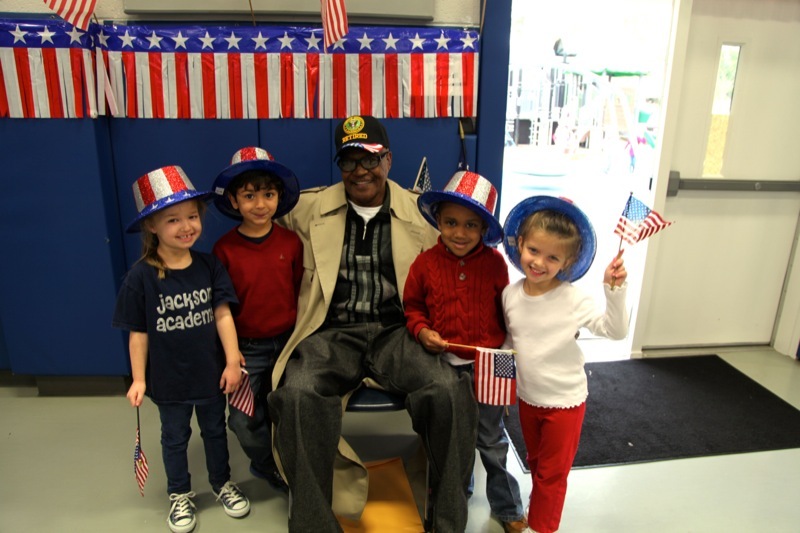 Preschoolers had a fun week building up to Patriotic Day. 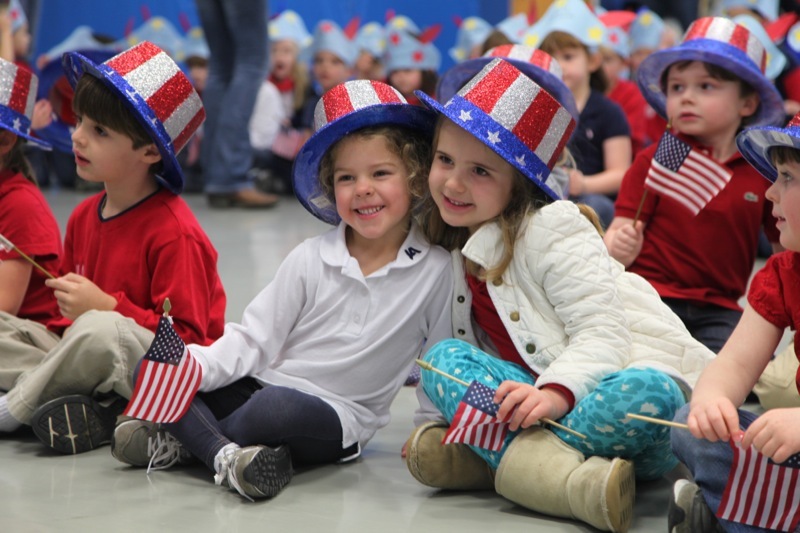 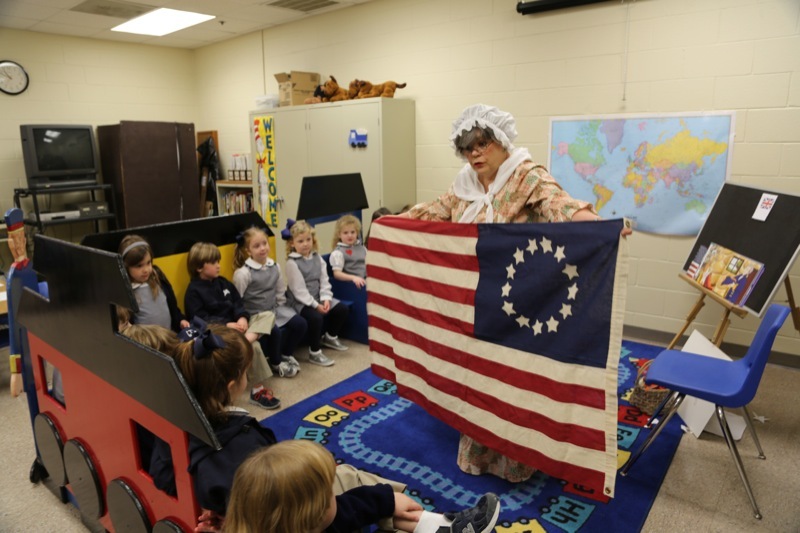 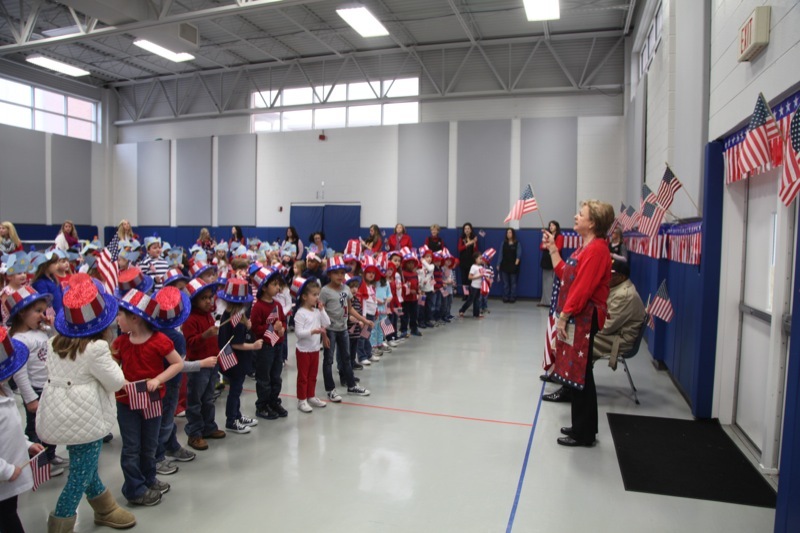 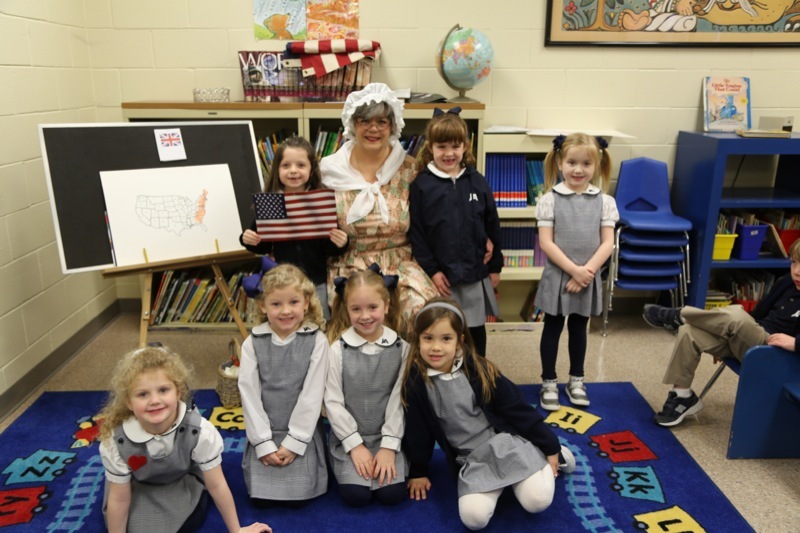 From “Betsy Ross” appearing in the library to making props for the parade, there were all kinds of activities surrounding the annual Patriotic Day parade and assembly. 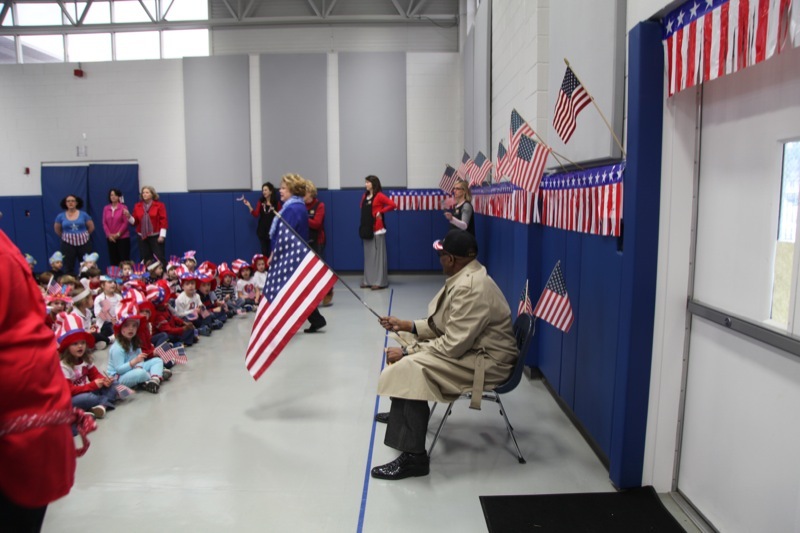 Officer Joseph Chatman was the special guest at the event.